When we thought we have seen it all in terms of smartphone top-notch innovative designs and advanced technologies, Meizu announced a new Android phone with mind-boggling design- first of its kind. Say hello to Meizu Zero: the World’s first smartphone without ports (holeless smartphone). When I say “No Ports”, I mean there is no buttons, you don’t get to see speaker holes, SIM card slot is not available, and no charging port. Speaker grille is nowhere to be found. In fact, Meizu Zero is being promoted as “the world’s first holeless smartphone”. Isn’t this wonderful? We have seen wireless charging smartphones, reverse charging too is now trending hot, what of fast charging technology? Oh yes, we are familiar with it too. But no holes and buttons? That is the first and coming from Meizu. No wonder the name is Zero. 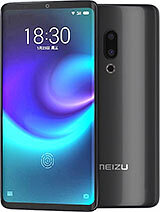 Meizu Zero Android phone was announced on January 2019 with no specific release date. But we expect it to be officially released before the end of Q1. It hosts some interesting features and mind-blowing design. The Android phone comes with 5.99 inches HD+ full screen and is driven by Qualcomm Snapdragon 845 with 64-Bit Processor. Meizu Zero comes with a touch capacitive panels that are stylishly placed on the sides of the phone to solve the problem of no volume and power button. These pressure sensitive panels are used to control the volume and power since the physical buttons are absent. Meizu Zero is rumored to be powered by 3100mAh battery with 18W Wireless Charging technology. Here, the wireless charging feature solves the problem USB port absence. Not only does Meizu Zero charge wirelessly, but all data transfers are also done via mobile networks and Wi-Fi using Xender, Flash Share etc. The device uses only wireless headphones in place of the 3.5mm audio jack that is absent. Meizu Zero packs 12MP + 20MP Dual rear shooter with the Sony IMX 380 and IMX 350 AI sensors. The front hosts a single 20MP selfie camera that can take clear and noiseless selfie shots. On the display is a Piezoelectric transducer that helps to bring out the sound externally since the speaker grille is absent. The on-screen fingerprint is also present instead of the usual rear fingerprint. What of SIM cards? Meizu Zero does not feature SIM card slot but it uses eSIM which is also known as Embedded SIM. This comes pre-installed on the smartphone and you don’t have to worry about physical SIM cards. You can learn more about eSIM and how it works here. Meizu Zero smartphone comes in two models. There are 4GB of RAM model tagged with 64GB of internal storage, and 6GB of RAM model running with 128GB of internal storage. No microSD card slot on this device. This means that the phone storage cannot be expanded which I think is not cool at all. The thing is that the internal storage a bit low, considering the fact that microSD card cannot be used. Next articleDo You Know You Can Now Remove Message On The New Facebook Messenger?